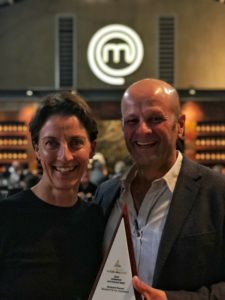 Stockyard’s premium brand kiwami was last night crowned 2018 Australian Champion Meat at the Australian Fine Food Awards gala dinner in the MasterChef Hall, Melbourne. 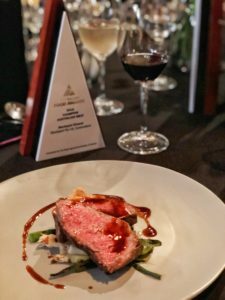 The Australian Fine Food Awards presents producers large and small with the chance to benchmark their products and establish credentials in the Australian premium food industry. As Australia’s leading national food awards program the AFA recognises the best Australian food producers across major categories. kiwami received a Gold medal in the wagyu category before proceeding to claim Australian Champion Meat across all eligible meat categories. Stockyard continues to prove itself as Australia’s most awarded beef brand, after winning the same award in 2017 and the previous five consecutive east coast branded beef competitions. Stockyard is humbled to receive these awards and proud of the work our team continues to undertake on a daily basis in order to produce a premium product of such consistency that it provides an eating experience of true luxury. kiwami meaning “Outstanding Excellence”, can be found in fine dining establishments around the world. Why you should try it: kiwami wagyu is hand selected and Stockyard’s finest wagyu beef providing assured eating quality with silky flavours and is the ultimate indulgence.